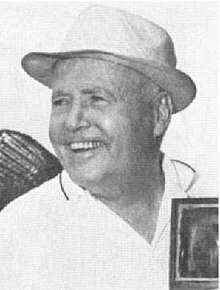 Henry Hathaway (March 13, 1898 – February 11, 1985) was an American film director and producer. He is best known as a director of Westerns, especially starring Randolph Scott and John Wayne. He directed Gary Cooper in seven films. Born Henri Léopold de Fiennes Hathaway in Sacramento, California, he was the son of an American actor and stage manager, Rhody Hathaway (1868–1944), and a Hungarian-born Belgian aristocrat, the Marquise Lillie de Fiennes (Budapest, 1876–1938), who acted under the name Jean Hathaway. This branch of the De Fiennes family came to America in the 19th century on behalf of King Leopold I of Belgium and was part of the negotiations with the Belgian Prime Minister, Charles Rogier (1800–1885), to secure the 1862 treaty  between Belgium and what was then known as the Sandwich Islands and is now called Hawaii. The title 'Marquis', commissioned by the King of the Belgians, comes from his grandfather, Marquis Henri Léopold de Fiennes, who settled in San Francisco, California after failing to acquire the Sandwich Islands for his King. Hathaway served in the United States Army during World War I.
Henry Hathaway made his directorial debut with a Western film production at Paramount, Heritage of the Desert (1932). Based on a Zane Grey novel, Hathaway gave Randolph Scott his first starring role in film that led to a lengthy career for Scott as a cowboy star. It kicked off a series of Hathaway-directed Scott Westerns from Grey novels, Wild Horse Mesa (1932), The Thundering Herd (1933), Under the Tonto Rim (1933), Sunset Pass (1933), To the Last Man (1933), Man of the Forest (1933) and The Last Round-Up (1934). Hathaway's next film was with Cooper, The Lives of a Bengal Lancer (1935). Hathaway spent some time in India supervising filming of scenes. The movie was a huge hit and received seven Academy Award nominations, including Best Picture and for which Hathaway won his only nomination for the Academy Award for Directing. Hathaway was now established as one of the main directors on the Paramount lot. He made another with Cooper, Peter Ibbetson (1935). This was followed by The Trail of the Lonesome Pine (1936), his first movie in color. He also worked on the troubled I Loved a Soldier (1936) which was never finished, and did a Mae West movie, Go West, Young Man (1936). Hathaway was back with Cooper for the anti-slaving adventure story, Souls at Sea (1937), co-starring George Raft. With Raft and Henry Fonda he made Spawn of the North (1938). The Real Glory (1939), with Cooper, was a reprise of Bengal Lancers se in the Philippines. Hathaway moved over to 20th Century Fox. where he directed the studio's biggest male star, Tyrone Power, in Johnny Apollo (1940) and Brigham Young (1940). He went back to Paramount to direct John Wayne in The Shepherd of the Hills (1941). For Walter Wanger at United Artists he made another Imperial action film, Sundown (1941). Back at Fox he made Ten Gentlemen from West Point (1942), China Girl (1942), Wing and a Prayer (1944), Home in Indiana (1944) and Nob Hill (1945). During the 1940s, Hathaway began making films in a semidocumentary vein, often using the film noir style. These included The House on 92nd Street (1945), for which he was nominated for a Best Director award by the New York Film Critics Circle, The Dark Corner (1946), 13 Rue Madeleine (1947), Kiss of Death (1947) and Call Northside 777 (1948), in which Hathaway presented one of the first on-screen uses of a Fax machine. Hathaway returned to adventure films with Down to the Sea in Ships (1949). He was reunited with Power for The Black Rose (1950). The Desert Fox: The Story of Rommel (1951) was a biopic of General Rommel. It was followed by Fourteen Hours (1951), a noir about a man going to commit suicide, You're in the Navy Now (1951), a military comedy with Cooper, and two with Power: Rawhide (1951), a Western, and Diplomatic Courier (1952). Hathaway directed the film noir Niagara (1953) which was Marilyn Monroe's breakthrough role and White Witch Doctor (1953) with Susan Hayward and Robert Mitchum. He was reunited with Cooper on Garden of Evil (1954), a Western, then did the swashbuckler Prince Valiant (1954). After The Racers (1955), with Zanuck's mistress Bella Darvi, Hathaway left Fox. He made two thrillers with Van Johnson: The Bottom of the Bottle (1956) and 23 Paces to Baker Street (1956). John Wayne hired him to make Legend of the Lost (1957) for Wayne's company. Back at Fox he made the Western, From Hell to Texas (1958). During the movie, Dennis Hopper attempted to assert himself artistically on the set. Perhaps influenced by his recent experience with fellow actor James Dean's rebellious attitude on the sets of Rebel Without a Cause (1955) and Giant (1956), Hopper forced Hathaway to shoot more than 80 takes of a scene before he acquiesced to Hathaway's demands. After the shoot, Hathaway reportedly told the young actor that his career in Hollywood was over. Hopper later admitted he was wrong to have disrespected Hathaway as a youth and called him "the finest director I have ever worked with", working again with Hathaway on The Sons of Katie Elder (1965) and True Grit (1969). Hathaway then made a melodrama Woman Obsessed (1959) and thriller Seven Thieves (1960). He was reunited with Wayne on the comedy-action "northern", North to Alaska (1960). Hathaway was one of three directors on the epic Cinerama Western, How the West Was Won (1962), directing the bulk of the film, including the river, prairie, and train robbery sequences. He went to Spain to work with Wayne again on Circus World (1964). Wayne asked Hathaway to cast John Smith in the role of Steve McCabe in the film; Smith from 1959 to 1963 had played the part of rancher Slim Sherman on NBC's Laramie series. According to Smith's Internet biography, Hathaway developed an intense dislike for Smith and stopped him from landing choice roles thereafter in Hollywood. Circus World was a box office disappointment but Wayne and Hathaway's next movie together, The Sons of Katie Elder (1965), was a big hit. So too was Nevada Smith (1966), a Western starring Steve McQueen that was extrapolated from a brief section of Harold Robbins' novel The Carpetbaggers. He went to Africa to make The Last Safari (1967), then did the Western 5 Card Stud (1968) with Dean Martin and Robert Mitchum. It was a mild success but True Grit (1969), produced by Hal Wallis, was extremely popular, and won John Wayne a Best Actor Oscar. He may have stepped in for George Seaton in directing some winter outdoor scenes for the all-star Airport (1970), which stars Burt Lancaster and Dean Martin. He made a war movie with Richard Burton, Raid on Rommel (1971), then made another Western for Hal Wallis, Shoot Out (1971). Hathaway's 65th and final film was Hangup (1974), a blaxploitation movie. Hathaway died from a heart attack in 1985 in Hollywood and is interred at Holy Cross Cemetery in Culver City, California. His body of work earned him a star on the Hollywood Walk of Fame at 1638 Vine Street. ^ "Kingdom of Hawaii Treaty with Belgium - 1862". hawaiiankingdom.org.